On the map to the right, you can see that the State of Vermont is bounded by the Canadian Province of Quebec on the north and by Massachusetts on the south. Vermont is also bordered by New Hampshire on the east and by New York State on the west. Vermont is the 43rd largest state in the United States, covering a land area of 9,250 square miles (23,958 square kilometers). The state consists of 14 counties. This Vermont map site features road maps, topographical maps, and relief maps of Vermont. The detailed, scrollable road map displays Vermont counties, cities, and towns as well as Interstate, U.S., and Vermont state highways. The pannable, scalable Vermont street map can be zoomed in to show local streets and detailed imagery. to view a scalable Vermont road map. The detailed Vermont map and the regional Vermont map display cities, roads, rivers, and lakes as well as terrain features. The detailed map shows only the State of Vermont, while the regional map shows Vermont and the surrounding region. Vermont's capital city is Montpelier; the largest city in Vermont is Burlington. In 2005, the population of Vermont was estimated at 622,387, which is about 67.4 people per square mile. In 2010, Vermont's population rose to 625,741 people. The state's Interstate Highways include I-89 and I-91. The only major Vermont airport is the Burlington International Airport in South Burlington. Vermont is derived from the French phrase "vert mont", which means "green mountain". The Green Mountains range from north to south, and dominate the state's terrain. Lake Champlain separates the state from New York, forming most of Vermont's western border. The Connecticut River runs along the state's eastern border with New Hampshire. Vermont's ski slopes, such as Stowe and Killington, are popular with winter sports enthusiasts, while history buffs enjoy the Bennington Museum or Billings Farm. The magnificent setting of Vermont's Trapp Family Lodge reminds visitors of the story behind the Sound of Music. For Vermont travel and tourism information, visit the official Vermont tourism site and Vermont Atlas. This Vermont reference map shows major cities, roads, railroads, and physical features in Vermont. 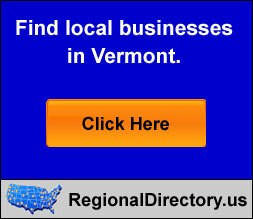 Several map publishing companies offer printed maps of Vermont. For example, Omni Resources offers several maps of Vermont that feature points of interest, airports, and parks, as well as selected local attractions and insets of major Vermont cities. Vermont-Map.org Editor, State Maps, PO Box 775, Barnegat, NJ 08005.